A friend of mine, pianist Dave Stoler, recently facebooked me (can I use facebook as a verb?) regarding a new solo recording from the great pianist Mulgrew Miller, one of the great living jazz musicians. Miller has always been a favorite player of mine. 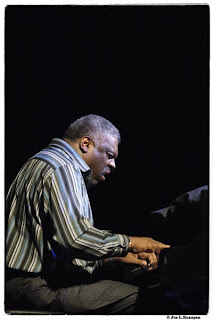 I have listened to him in many contexts; as a sideman on the countless sessions he has recorded, as a leader in trio and quintet, in duo with Kenny Barron, in a group with three other pianists (the Contemporary Piano Ensemble, featuring James Williams, Harold Mabern, and Geoffrey Keezer). I've gotten to hear him live many times over the years, mostly with his own groups. I even got to play opposite him at the Blue Note a few years ago; he was with the Ron Carter Golden Striker Trio, while I was with the Christian McBride Trio featuring Billy Hart. I've spoken to Miller on a number of occasions, and he once confided that he was hesitant to do a solo recording, and joked that "maybe if he was drunk one night" he would head over to a favorite studio and lay down some tracks. So when I heard about this live solo recording, I dropped everything and downloaded it immediately. Miller has a quiet confidence in his piano playing. It's unapologetic traditional meat-and-potatoes straight-ahead jazz, with a maturity that comes from countless experiences as an accompanist to everyone from Wallace Roney to Art Blakey. But within that is a rich approach to harmony and melody. 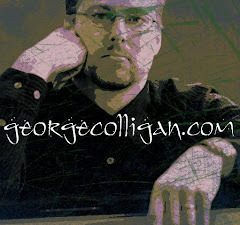 There is a tendency for lesser solo pianists to descend into virtuosic show-off territory when they are alone, mostly because they are uncomfortable with the space of having no bassist and drums to hide behind. This is never the case with Miller, who is totally at ease with the "man-on-the-highwire" aspect of solo piano playing. There is also a tendency for the inexperienced pianists to let the tempo drift. Nevertheless, Miller's time is impeccable. His right hand lines on "Jordu" are driving and and clear. But the left hand is stoically solid. You don't miss a rhythm section one bit. It's very Bud Powell-ish in approach, but the double-time lines are signature Mulgrew Miller. 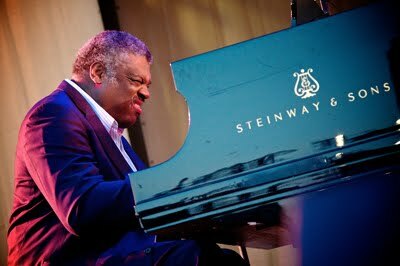 Mulgrew Miller always has a very distinct,dark, consummate type of piano touch; it's round, it's got a pop to it, but it's dependable. I love the sound of the piano on this CD; it sounds alive, perhaps very close-miked, so you can really hear the sound of the strings, not just the hall sound. Every note he plays is a crystal glass, shining in the sunlight. And there is never a moment of insecurity. Sometimes, I like to hear musicians take a risk and play some wrong notes. However, on this disc, Miller is incapable of missing anything, which is also satisfying to listen to. "Dreamsville" is one of my favorite Henry Mancini tunes (I learned it from saxophonist Jed Levy) and Miller interprets it delightfully. His version of "Yardbird Suite" is quite magnificent. Here the musical language is bebop, but in Miller's hands, it sounds contemporary enough to be an exceptionally enjoyable performance. "Body and Soul" shows his mastery of thirds, inner voices, arpeggios, and alternate passing harmonies. "Giant Steps" is also quite masterful; the melodic lines are impeccable, and the left hand supports the right hand perfectly. Again, Miller puts his unique linear "stamp"on this performance. If you want to hear modern mainstream at it's finest, check out this Mulgrew Miller "Solo" piano CD. It's a clear representation of a seasoned artist at his powerful musical peak. website design priceForumLinkBuildingI heard Christine's band in Winnipeg a few years ago. It was one of the best concerts I've ever heard here (and I've been to a lot). The writing, the solos, the band cohesion were all remarkable. Thanks for the interview. I hope you can get her back here sometime. voice overs adelaideJeansSo poignant when I pass the basketball court around 4th Street and Ave. of the Americas and think of Jaco standing outside and watching the games like just another street person. I read the bio myself, but something about this really stuck with me. To know that a musical genius could be reduced to such a deplorable condition, through a combination of factors, made me sad and very angry.